I finally bit the bullet recently and invested in a Ninja Blender. For the last ten years I have managed to get by with either my food processor or my immersion blender. 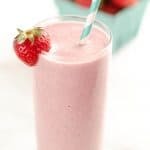 Honestly, I have always preferred my immersion blender up until this point because it was so simple to puree up a good tomato soup, my favorite salad dressing or something new like this Coconut Strawberry Protein Smoothie. I would just give the wand a quick wash and tuck it back in the cabinet. The idea of dealing with a big cumbersome blender was overwhelming and not appealing whatsoever! I will admit, there is one downfall to my beloved immersion blender…power. The fact of the matter is, it struggles to get through frozen fruit in smoothies or any other harder substances. Finally this led me to browsing the aisles of Target with a gift card that was burning a hole in my pocket. The Ninja Blenders had some serious appeal. I took the leap and opted for this model that includes a couple of cups for easy wash up and storage. I love that I can enjoy my smoothies right from the cup I blend it from! The fewer the dishes the better in my world. 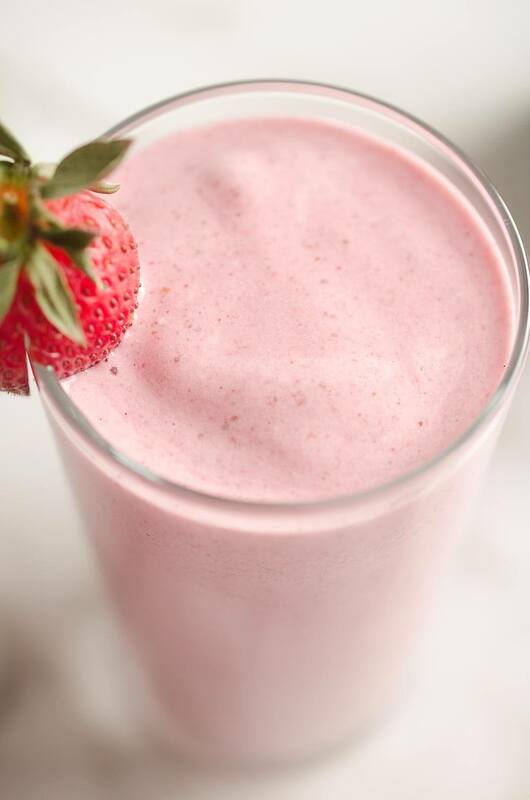 This Coconut Strawberry Protein Smoothie is my latest creation with the blender. 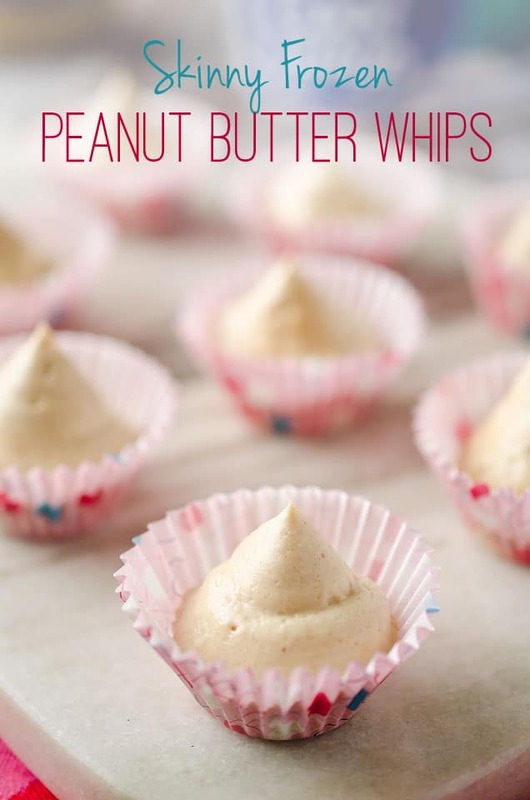 It is so easy to make, it takes less than 5 minutes! 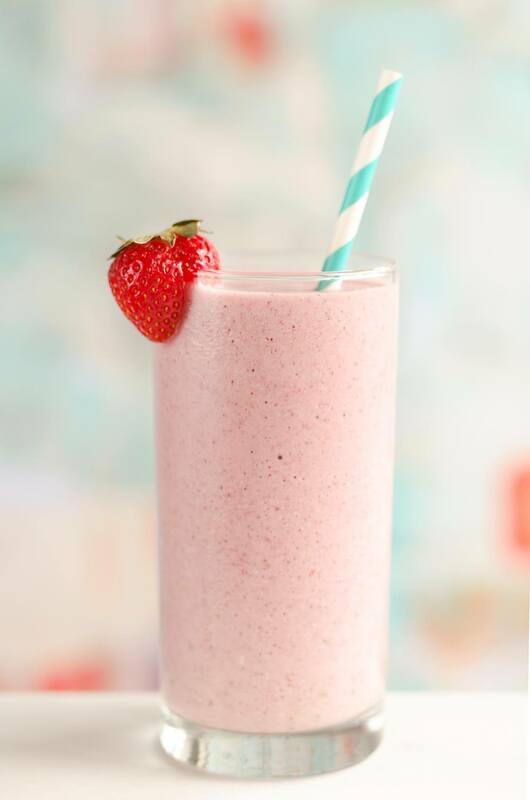 Simply toss some frozen strawberries and shredded coconut in your blender with a coconut milk beverage and add a serving of this amazing Protein Smoothie Booster for a kick of 15g of protein! Whether you enjoy it as a breakfast, a last minute lunch or a sweet snack, it is full of protein, fiber and Omega-3 for a wholesome and healthy beverage you will love. 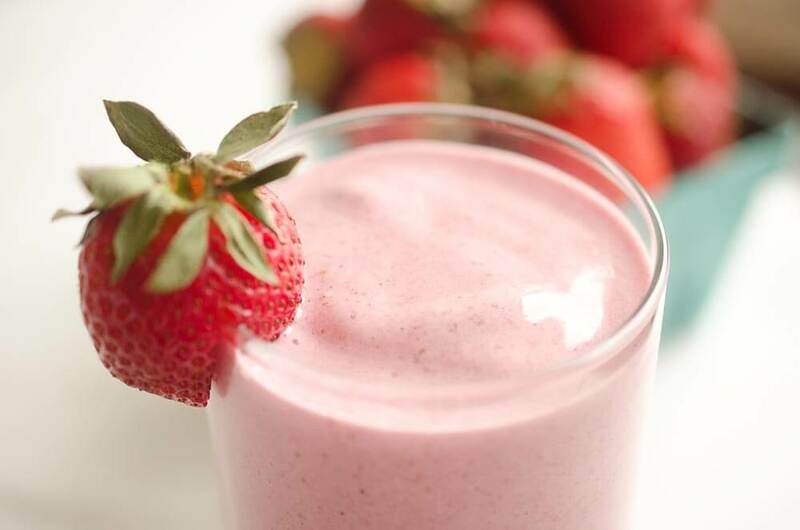 Add all of the ingredients to a blender and puree for 2-3 minutes. (Add the honey if you need an extra touch of sweetness. ) Enjoy immediately! 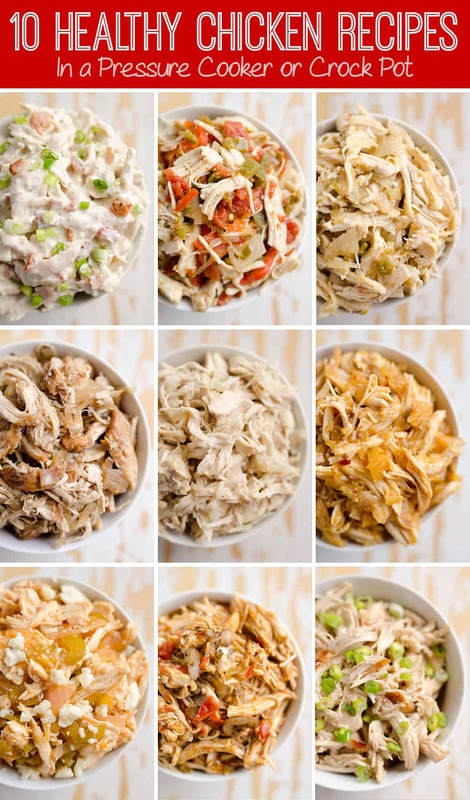 NOTE: If you have leftovers, add it to a plastic resealable bag and lay flat in the freezer. When you are ready to enjoy it again, break it into pieces and toss back into your blender. Puree until smooth. 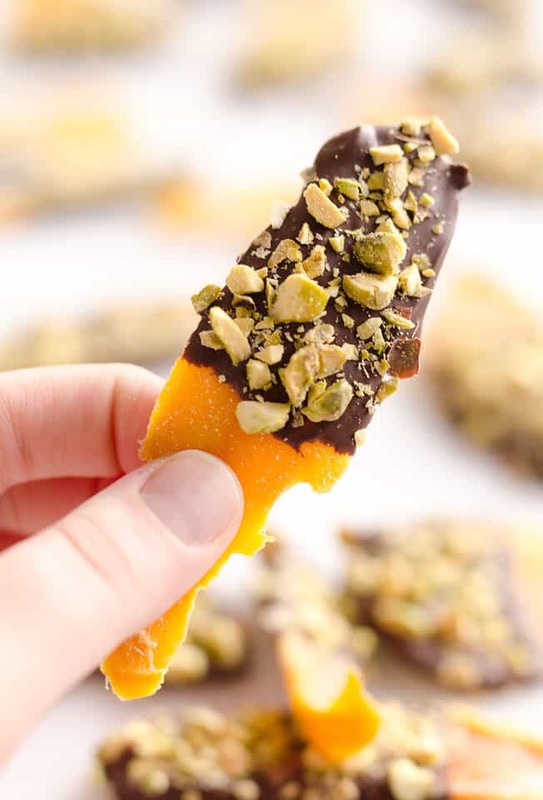 More snacks perfect for the summer! Totally trying this and using you protein booster mix! 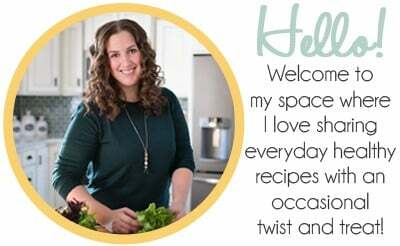 So glad you came to the dark side and finally got a blender… I remember someone saying they didn’t need one!!! This is perfect for breakfast because it’s healthy and easy to make. Honey really changed its taste. You can also add frozen banana on it. 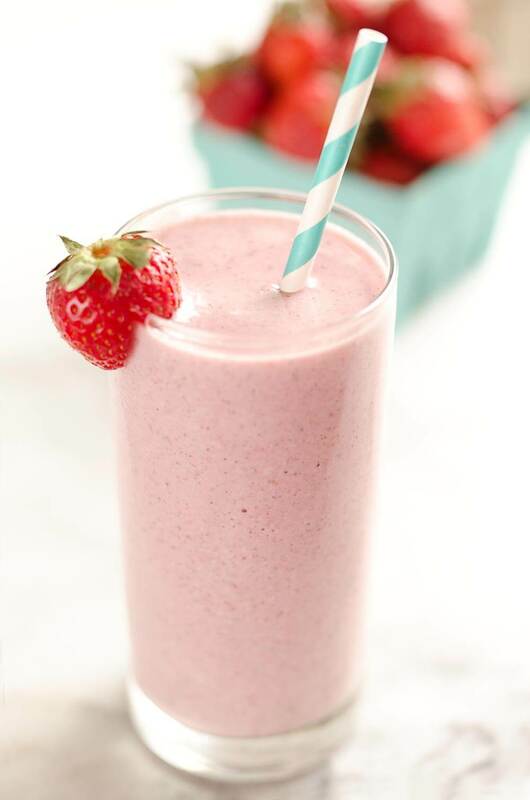 So many benefits of strawberry protein smoothie such as it’s good for digestion, for loss weight, good for heart, good for skin and hair.